Turkey’s economy is about to come crashing down because of President Recep Tayyip Erdoğan’s addiction to cheap loans and “silly ideas” about economics, David Rosenberg wrote in Haaretz. Erdoğan now has a green light to pursue his economic theories, which include a belief that higher interest rates cause inflation, after winning 52.5 percent of the vote in presidential elections on Sunday, a hardly impressive number considering his grip on the media, the judiciary and bureaucracy, Rosenberg said. “Erdoğan organized his own re-election just before the economy comes crashing down around him and his supporters,” Rosenberg said, referring to a sell-off in the lira, interest rates of 17.75 percent, the country’s unbalanced economic growth and $337 billion of foreign currency debt held by Turkish corporates. 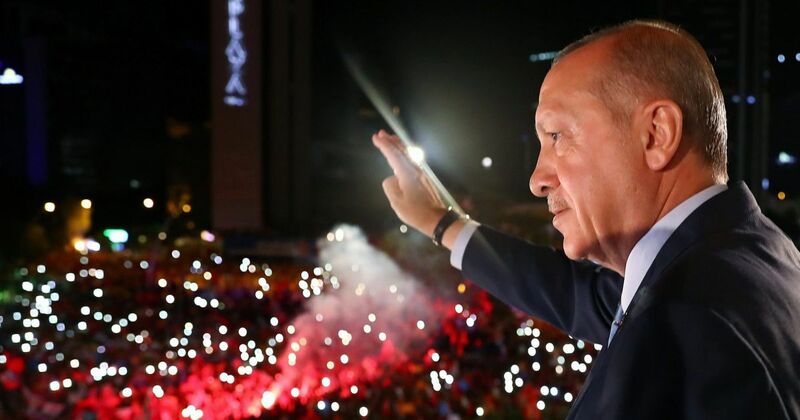 “It’s going to be messy for ordinary Turks, who should have had the foresight to see how things are going and the sagacity to point the finger in the right direction,” he said. Erdoğan now plans a short-term boost to the economy by building a canal linking the Sea of Marmara and Black Sea through Istanbul, the latest of his mega construction projects. The official cost is $15 billion, but the bill could end up at more than three times that amount. The canal itself serves no useful purpose except to become another monument to the leader’s glory and a source of corruption as the juiciest contracts go to his friends, Rosenberg said.